Now, I had my problems with Dragon Pro (The Demise of Dictation) but people commented on my “I give up!” post saying that I just hadn’t used it correctly. That’s as may be, but Dragon Pro for Mac had other problems besides my dictating ineptitude. For some time, it’s been having problems with applications using Apple’s 64-bit text toolkit (Dragon on Scrivener 3 has gone haywire.) Nor has it ever been the stellar performer that Dragon Pro on Windows has been—in fact, one noted writer on the subject, Scott Baker, frankly suggests in A Writer’s Guide to Training your Dragon that Mac users get a cheap Windows machine or use Boot Camp on their Macs in order to use the Windows version of Dragon. 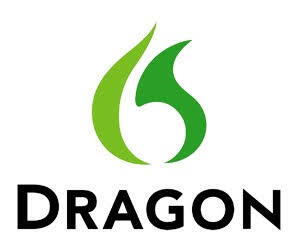 Nor did his recommendation change when Dragon Pro for Mac version 6 was released, although he conceded that the software was reported to be more usable. Why would Nuance discontinue Dragon Mac? They aren’t talking, but the problems with 64-bit text apps are definite. Further, MacOS won’t support 32-bit apps past the current major release (Mojave.) My own speculation is that Nuance, looking at a product that has never been up to its (Windows) standards and is (probably) not especially profitable for all its absurdly high price, was not willing to dump “good money after bad” in order to update it for the 64-bit text kit plus addressing any other problems it may have. Not an outstanding list of choices. Good luck, Mac writers using dictation. I have a disability so use Dragon all the time. Luckily I use Windows. I also subscribe to Naturally Dragon at $150 a year. The latter is rubbish. Absolute waste of money. It only works with internet connection, it does not integrate with other apps (any of them) and is extremely limited in function. Some people are reporting on the Apple Community Forum that Dragon 6.0.8 is working fine on Mojave. I personally have 3 copies running flawlessly. Two on Mac OS 11 and one on OS 10.13. My trick has been to partition the SSD and clean install the OS and then Dragon, followed by MS Office. (My go to writing app) I make a Time Machine backup and then when I have tested long enough to feel safe, proceed to add other apps and utilities while saving at each install. Prioritization of apps is important. So far this has worked well for me. I cannot testify to Mojave yet, but it is on my soon to-do list. I am dismayed at the loss of Dragon. As a long time purchaser all the way back to MacSpeech, I have been waiting for a version to work like 6.0.8 ( fast, stable and very short training period ). I actually took one install and started dictating without error prior to doing the in-app training. and suggest they obtain the rights to Dragon for Mac and then do what they do so well with software. Apple has touted for many years their support for the handicapped. Notably, features found in the System Prefs> Accessibility. Adding this program to their software collection will keep the Mac a viable option for advanced users, professionals and handicapped individuals.